After 10 years of working for other contractors and plumbing companies Nick Taft is now a fully licensed contractor. No more cutting corners and doing work that is just good enough. Nick Taft now has the ability to set the standard of excellent. Nick is a longtime resident of the Sacramento area and a family man. Nick looks to each client as a neighbor and friend. Nick Taft plumbing will work with each client to find solutions to their plumbing needs that will fit within the client's budget and meet their needs on a long-term basis. At Nick Taft Plumbing we want the client to be assured that we have 24-hour emergency service and that we guarantee our work. When you call you will be able to get a hold of a live person that will have solutions to your plumbing needs. Nick Taft is interested in innovative solutions to today's plumbing needs. 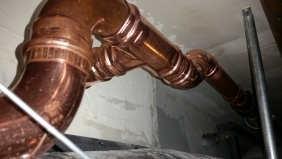 Energy and water efficiency are areas of special interest here in a tough Plumbing hear neck tough Plumbing we have a motto if you have any idea we can make it happen. We give clients a range of solutions and options. Are excellent knowledge of these products we install gives us the ability to educate you on the product and instruct you on safety and usage. We are always looking for the long-term solution. Nobody handles your plumbing disaster faster! We offer a wide range of plumbing services from emergency plumbing to water heater installation two basic faucet repair. Our plumbing specialist provide upfront estimates before beginning maintenance. An annual inspection of your plumbing system can save you more than a huge Plumbing disaster later it can also save you lots of money. Many common issues can be avoided with preventative maintenance and care. You can count on Nick Taft Plumbing for expert sewer and drain cleaning services. Ready to respond our plumbing specialist can diagnose your drainage problems and solve them quickly and professionally. Using the latest technology and products we specialize in fast friendly drain repair and service to get the job done right the first time. From unclogging kitchen sinks to bathroom drain repair we service all drains in your home. 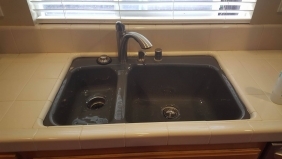 Nick Taft Plumbing can handle all your drain and Sewer needs including regular Cleaning and Repair are professionals are there when you need us ready to diagnose your problems and provide professional sewer and water lines service to solve them quickly. When it comes to sewer or water line problems Nick tough Plumbing is ready to respond anytime day or night. Our plumbing specials can diagnose and solve issues quickly and professionally. We specialize in fast friendly service using the latest technology and products to get the job done right the first time.